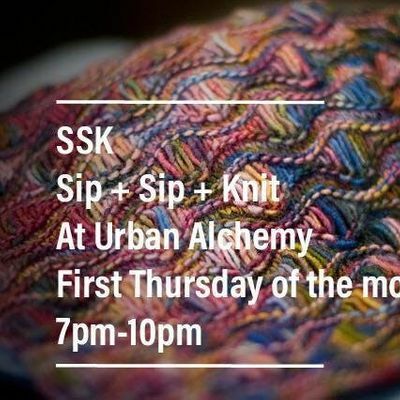 Sip, Sip + Knit – come out to Urban Alchemy and enjoy a relaxing evening in the company of other fiber enthusiasts while working on your current project. All ages and levels welcome. 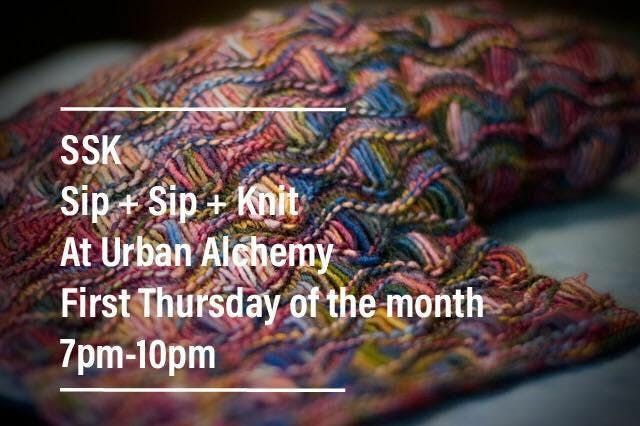 Knitting, crocheting, tatting, weaving, spinning, etc. 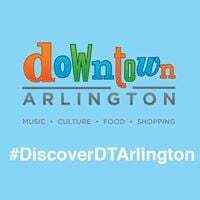 Urban Alchemy located in Downtown Arlington, offers coffee, wine, tea, beer, and food options.